Maison Ferraton Père & Fils was founded in 1946 with the purchase of a small vineyard in Hermitage. Today Ferraton Père & Fils is a relatively large producer making a range of wines. Estate vineyards in Hermitage, Crozes-Hermitage and Saint-Joseph are farmed biodynamically. Wine production from these esteemed vineyard locations represents only a small part of total production. We won’t be tasting those wines today. No worries. The two wines we are tasting today, which we received as tasting samples, are part of Ferraton Père & Fils’ negotiant range of wines and highlight the art of regional blending. 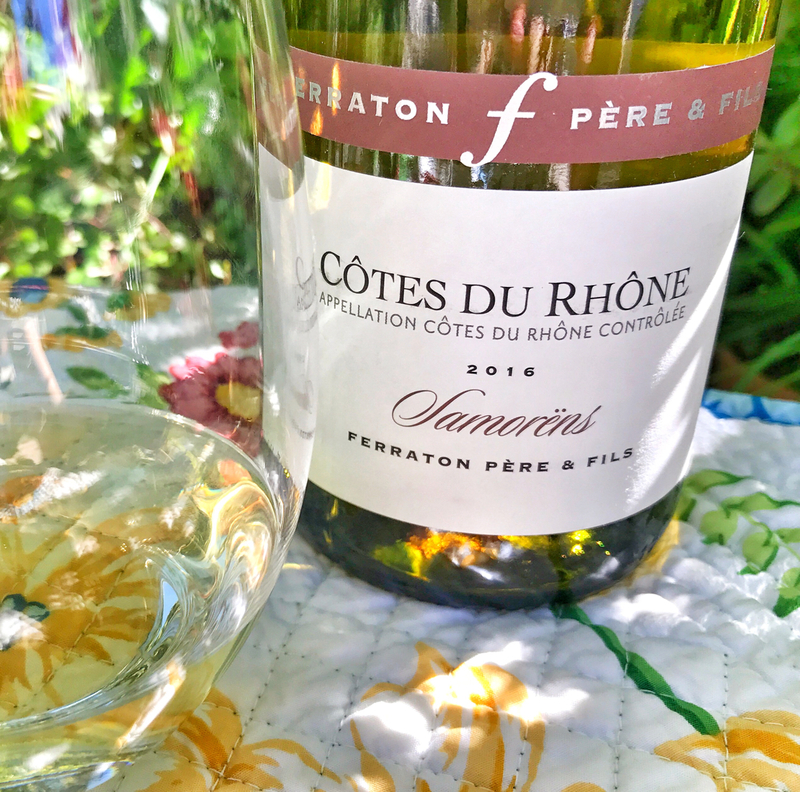 They may not be part of the Ferraton Père & Fils estate range of wines, but they are delicious none the less and represent the Rhone Valley very well. And they’re a terrific bargain. This complex and lively wine is a blend of Roussanne, Viognier, Grenache Blanc, Clairette and Marsanne. It is a perfect example of just how successful a blended wine can be in the hands of a skilled winemaker. 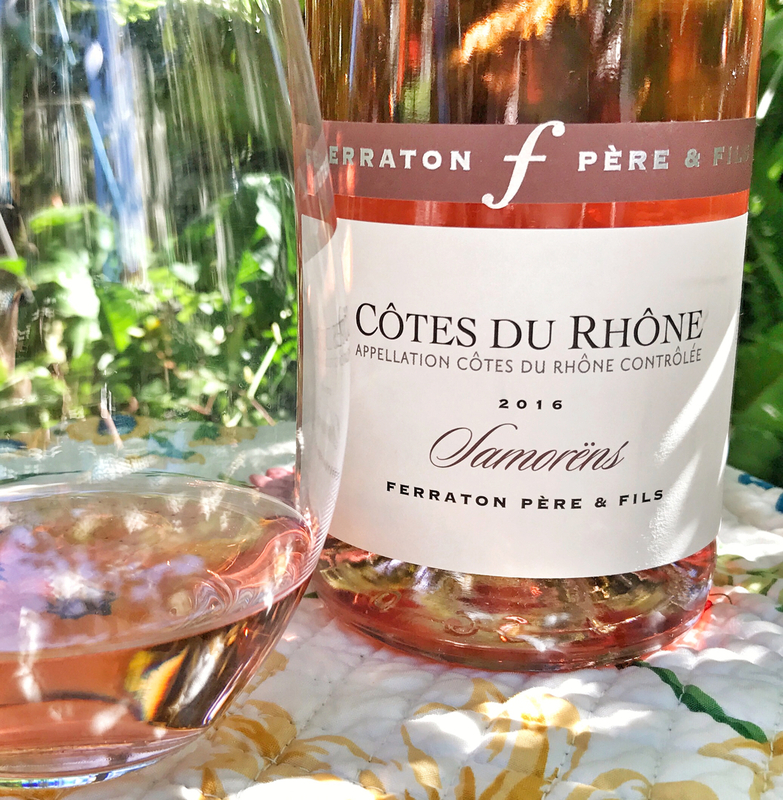 The blend in this interesting rosé is predominantly Grenache, along with Syrah and Cinsault. I have to say, I love rosé made with Grenache. Both of these wines are vinified in stainless steel. They’re light, bright, full of flavor and will make the perfect companion to any number of summer meals. Or you could just sip them on their own. Either way, look for these wines, you’ll not be disappointed. Thanks to the folks at Creative Palate Communication for sending this taste of summer our way.